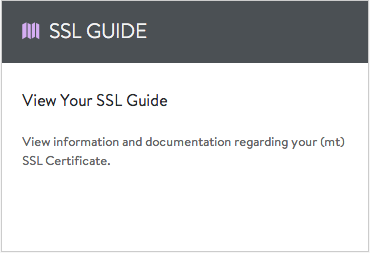 The SSL Guide gives a quick overview of the SSL certificate order, including the "common name" for the certificate, the approval email used for the order, the status and price of the order. 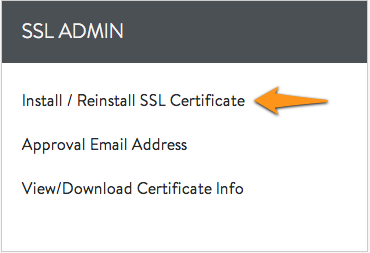 Provides the steps to automatically install or reinstall your SSL certificate on most services. In some cases, you will need to manually install your SSL certificate. 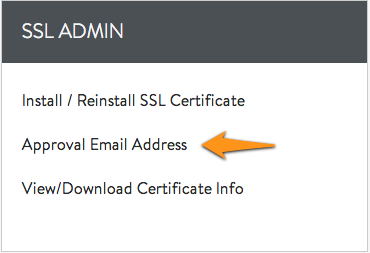 Shows the email address used to place the order for your SSL certificate, and allows you to resend the approval email to the address if needed. 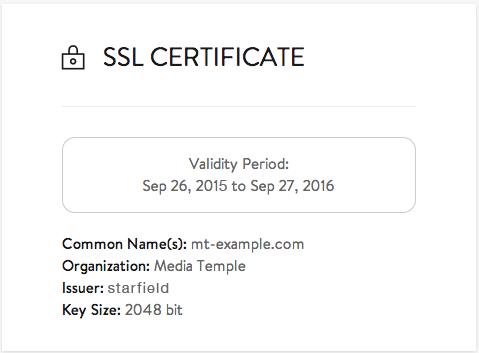 Provides access to the raw text of your SSL certificate, private key, and chain certificates, along with the ability to download them via a zipped file. 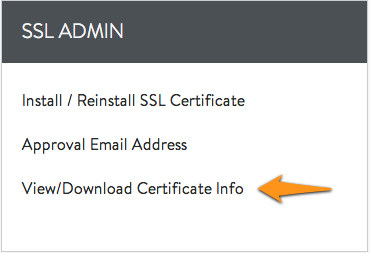 The raw certificate text is also available in the View Certificate Data section.